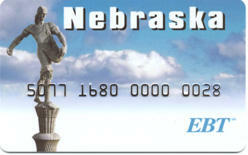 (Omaha, NE) -- Nebraska food assistance recipients will receive their benefits despite the ongoing government shutdown. The Nebraska Department of Health and Human Services says families will receive their February SNAP benefits on January 20th. More than 70-thousand households across Nebraska receive food assistance.